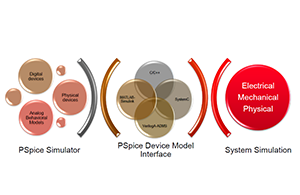 The Simulink/PSpice interface enables simulation between PSpice Designer and Simulink, allowing designers to simulate complete systems in a virtual prototype environment. It allows you to simulate with ideal models for faster simulation during proof of concept, or simulate with actual electrical designs without the need to prototype the entire system. 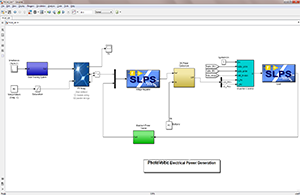 Cadence and MathWorks also enhance the integration by providing a bi-directional flow where the customer can import a Simulink model and co-simulate in PSpice. 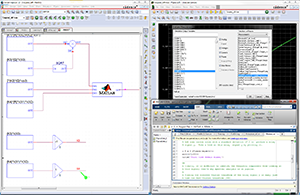 With PSpice Device Model Interface (DMI), which allows you to define C/C++, SystemC®, and Verilog ADMS components and simulate them in PSpice, you can import MATLAB software-generated code into PSpice as a DMI model and use it in a PSpice simulation. EE designers always have a need for fast mathematical computation, and this need is felt even more when performing complex mathematical computations during the waveform analysis and behavioral modeling stage. 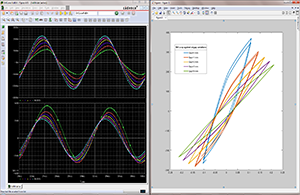 The enhanced PSpice/MATLAB interface enables you to use MATLAB functions directly in measurement expression and in behavioral modeling within PSpice and Capture/DEHDL environment. 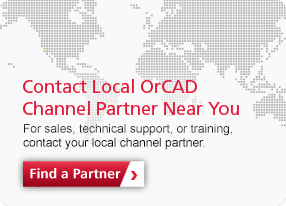 Contact your local channel partner to learn more about the PSpice and Simulink integration.